If you're looking for chess pieces design that has elegant and classic look, try to check this chess illustration. 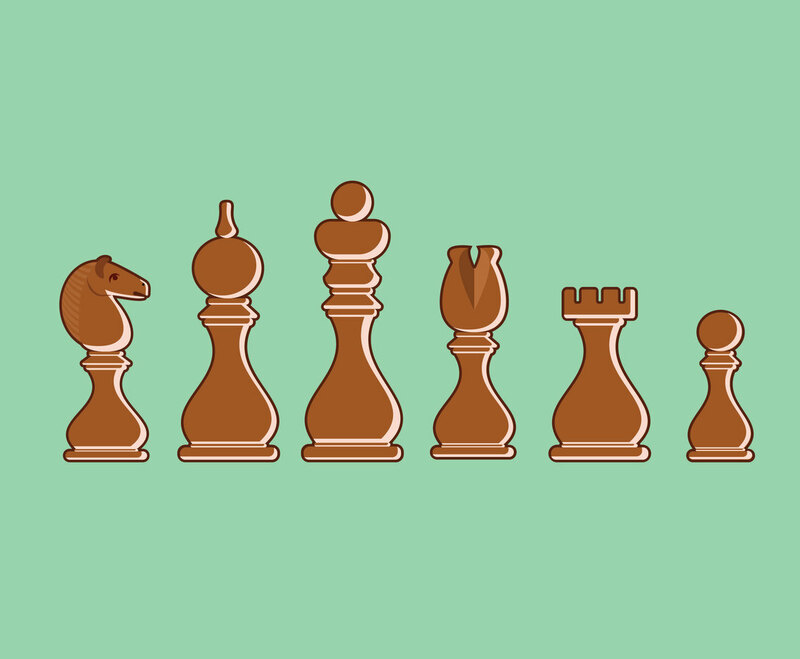 A horse, a bishop, a knight, a king, a castle and a pawn are included in the set. It will be nice to have one of them as design element in any project related to chess game or chess match poster.